I set off from home in the drizzling rain and cold wondering whether there would be anybody joining me on today’s ride to Wimbledon Common. I needn’t have worried as there were 8 hardy souls at Shurguard; Barry, Bob (the fireman), Bob (the builder), Karen, Belinda, D, Frank and Dave G. With Tuesday’s rides called off due to ice I took the precaution of delaying the start until 11am to minimise the risk of icy roads. 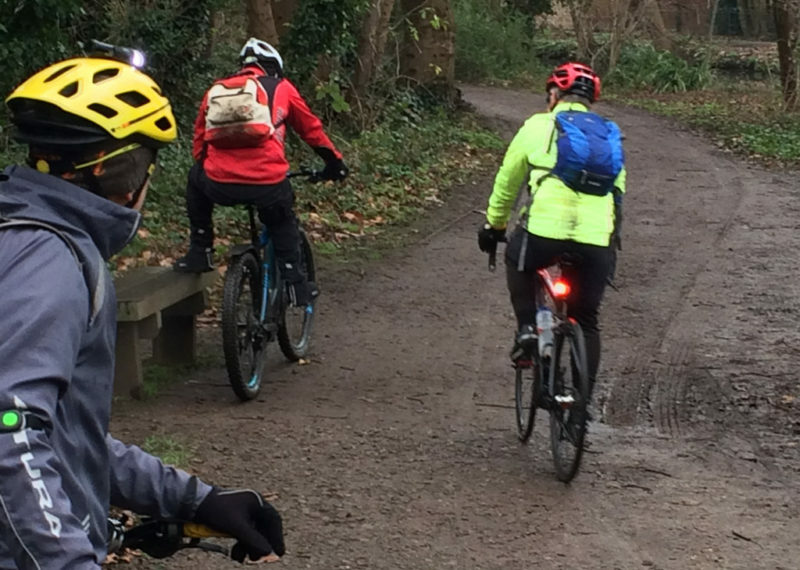 After briefly admiring Bob (the fireman)’s 28inch electrified mountain bike we set off, initially heading towards Croydon before we took back roads through to Sutton following bike route 77. Then we followed a series off road cycle paths that took us past the wetlands at The Hamptons, a couple of graffiti artists and on to Motspur Park. 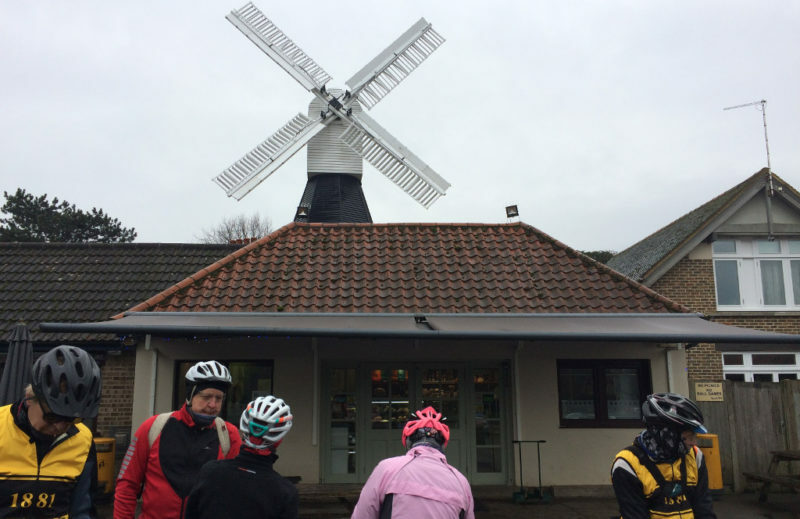 We continued through Raynes Park and Wimbledon Village to reach the Common and the Windmill Café. 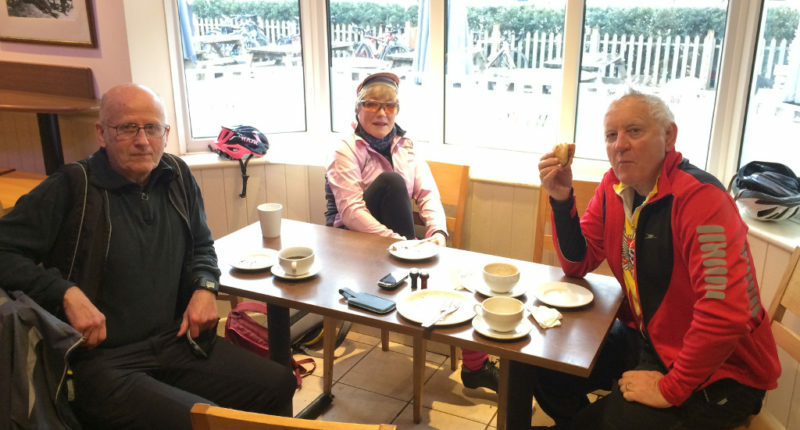 The Café was a most welcome chance to warm up and re-fuel. Belinda, D, Barry & FrankThe return route was via Wimbledon Park and then joined the Wandle Trail at Earlsfield. There were a surprising number of frozen puddles along the trail and a few patches of slippery mud but on the whole the going was good and no one had any mishaps. At Morden Park, Barry and Belinda took the main road home to try and warm up. Shortly after we lost track of Bob (the builder); hopefully he found his own way home and didn’t have a mechanical. Not concentrating on the route I missed a river crossing and continued down a different cycle way. 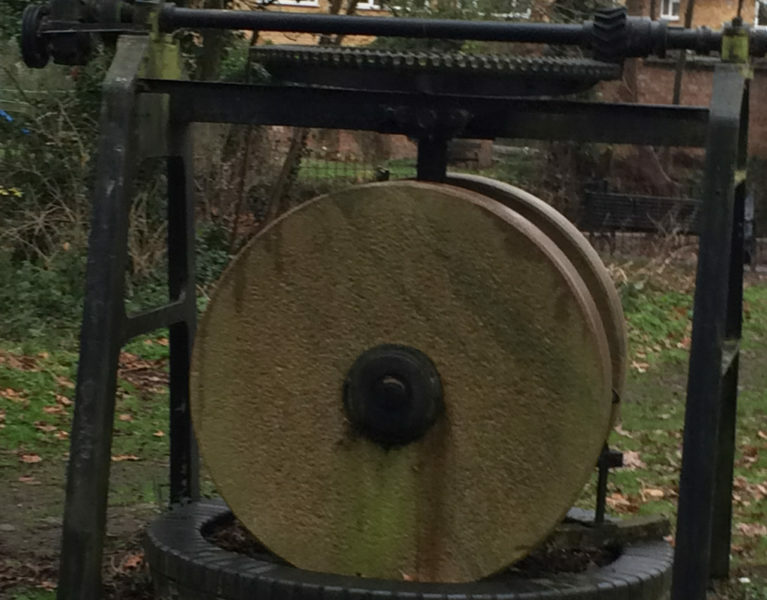 When we reached a sign saying “Wandle Trail and Morden” it appeared we had some how turned back on ourselves. The direction of flow of the river confirmed the mistake! We continued in a southerly direction in the hope we would eventually recognise where we were. 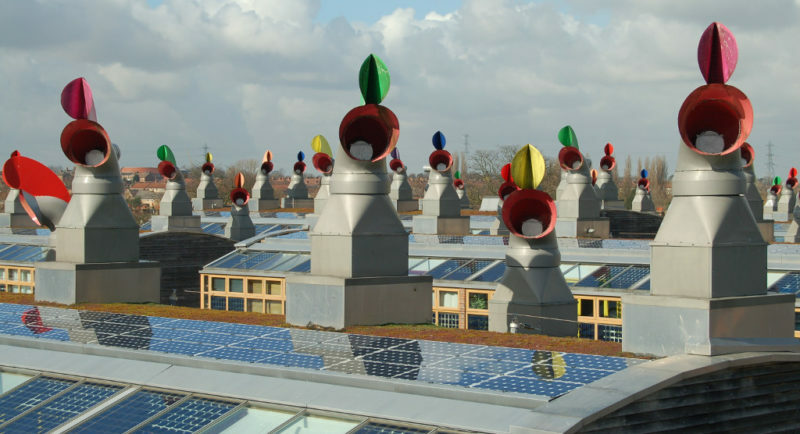 Sure enough we popped out on the main road just north of Hackbridge opposite the multi-coloured chimneys of BedZED eco village. 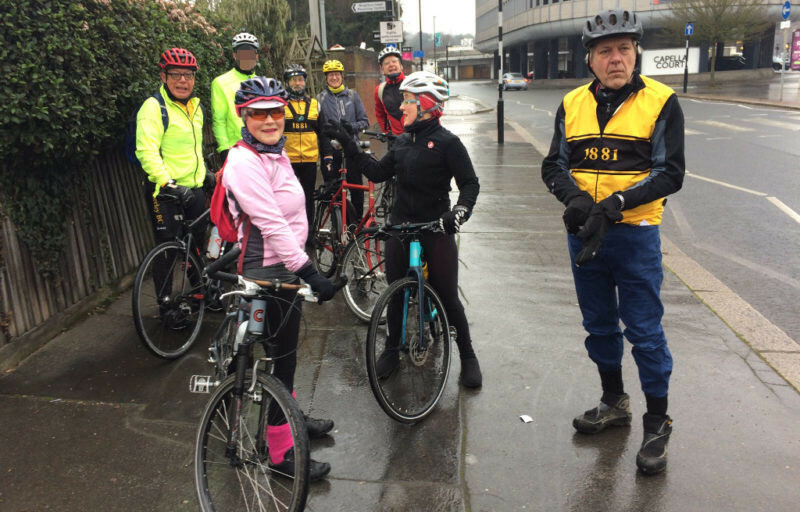 We cycled through Beddington Park, past Crew Manor and Beddington church and then up to Wallington before disbanding to our various home destinations.